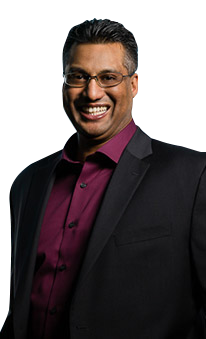 Andy Ramdass knows just how quickly information systems technology (IST) is evolving — because he’s worked in the industry for 15 years. Businesses have become dependent on computers and technology to fill crucial roles in the workplace, and IST professionals like Andy have become integral parts of the workforce. A highly motivated network engineer with experience working for large corporations, Andy enrolled in the Network Security Diploma program delivered by Professional, Applied and Continuing Education (PACE) at The University of Winnipeg, to advance his skills. The program equips graduates with the skills to mitigate online threats to organizations. Andy, who currently works as a Security Technical Support Specialist in Great-West Life’s Security Infrastructure Protection division, says the full-time PACE program gave him the knowledge base he needed to further his career. Andy, and other professionals with a PACE Network Security Diploma, are well positioned for the future of IST — as the industry is seeing significant growth in Manitoba.